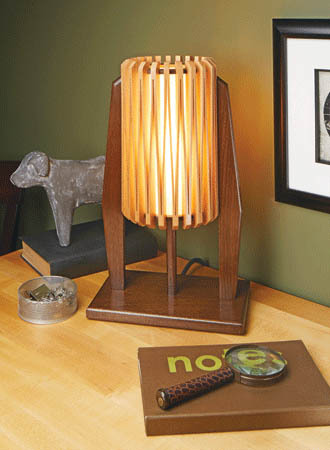 Browse though some of our most popular woodworking plans. 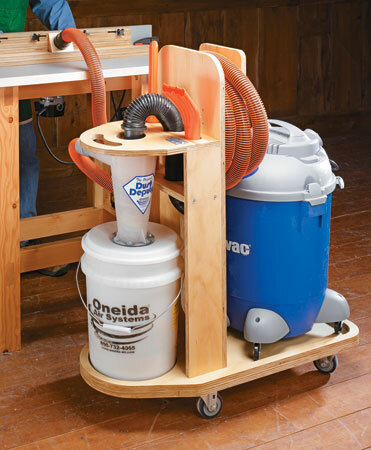 A low-cost cyclone kit and this simple cart turn a shop vacuum into a top-notch dust collector that can go anywhere in the shop. 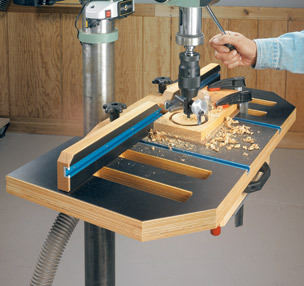 A flip-up top adds a new angle to table routing. 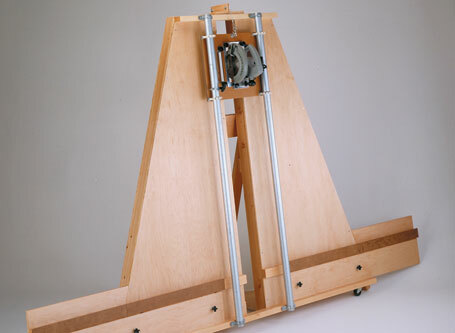 The result is a unique, two-in-one workstation for the ultimate in shaping and joinery. 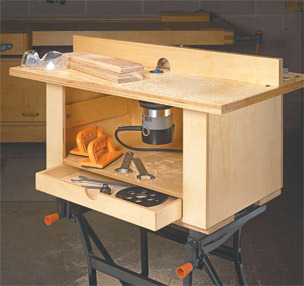 This simple router table will get you started woodworking quickly, but later you can add a few options for even more capabilities! 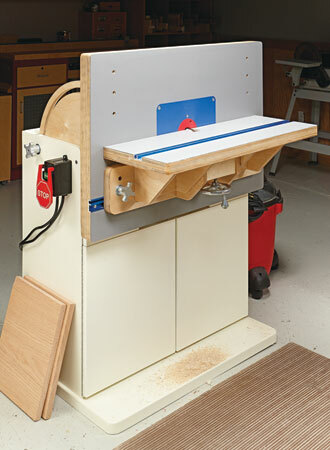 Made with common materials and hardware, this shop-built panel saw allows one person to easily crosscut or rip a full sheet of plywood. 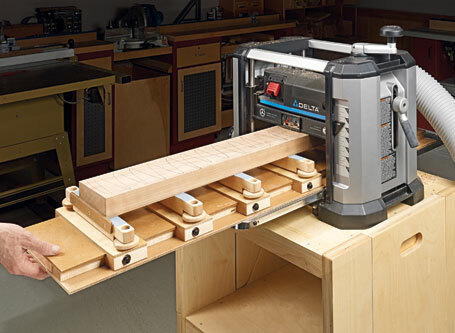 Fold-out tables, a stop block, and a mobile base extend the usefulness of your miter saw. There’s also a convenient storage space for cutoffs. 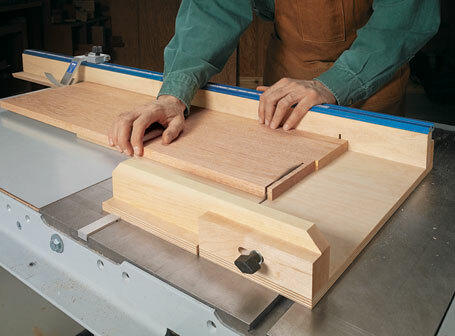 Salvage your warped boards with this no-fuss planer sled. 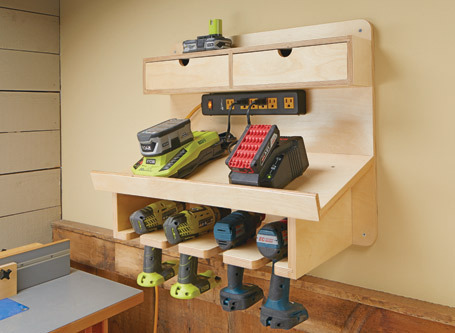 This wall-mounted station will ensure that all your cordless drills are fully charged and ready to go at a moment’s notice. 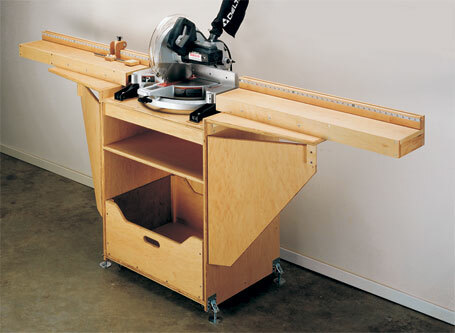 An adjustable fence, versatile clamping options, and a built-in dust collection system make this table a great upgrade. 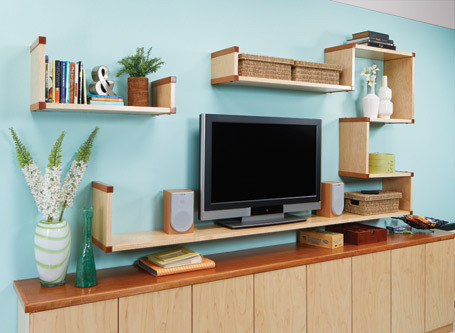 This shelf system can snake its way across your wall in any path your heart desires. Hidden fasteners anchor the shelves securely to the wall. 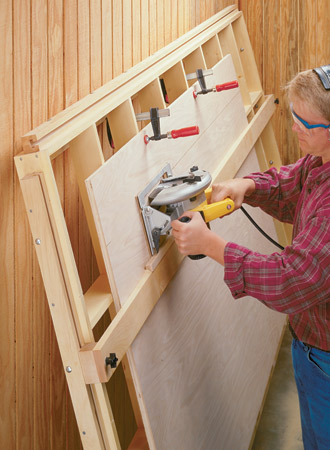 It’s easy to cut sheet goods down to size with this tilt-out panel cutting guide.